At present, the entire world is witnessing a significant number of start-ups coming up with great ideas. Most of these start-ups have young and enthusiastic minds who work relentlessly to make this world a better place to live. Initially, as the start-ups are quite new in the business world, they need guidance on certain important aspects of business, especially related to their accounts and finances. In most of the cases, the start-up and small business owners remain busy in recruitments and implementing the idea, and they neglect the financial aspect of their new business in the market. This negligence can lead to great losses for them in the future. This is where we come to the rescue of such start-ups and small business owners from such hassles. We, with our exceptionally talented accounting experts and amazing accounting software solutions, ensure the best services and results that start-ups can think of. Under this service, we take care of the initial setup phase of your business and ensure that you meet all compliances prescribed by the HMRC and Companies House. We also provide other advisory services that are helpful in the proper management of your business. With this service, we provide you with free access to world's leading marketing and business growth systems. This service of ours provides you with a dedicated Chartered Accountant who is always available to resolve your queries and offer you best tax planning and other financial advice. This fully-dedicated accounting personnel allows you to dedicate more time to other important aspects of your business which determine your profitability and viability in the long run. With this service, we ensure the most hassle-free and easy financial and accounts management for your organization. Our cloud accounting software is significantly superior to others available in the market as it comes with built-in CRM system, allowing you to manage your clients efficiently and acquire new customers conveniently. Our software also manages your bookkeeping tasks and is readily available through our mobile app, anytime, anywhere! Sheffield is amongst the best locations in England to start your business. The ‘UK Cities Monitor 2008’ declared Sheffield amongst the top ten best cities to start a business in the nation. This town has been witnessing a considerable growth in the local economy since last many years and ensured all facilities and resources to the start-up owners. Sheffield is famous throughout the world for its steel production and related innovations and their developments. One can recognize a large number of small businesses and start-ups here transforming these innovations into reality and making them available for the world. Sheffield is undergoing great infrastructural transformation since the last decade and has seen a significant number of the project including the Velocity Living, St Paul’s Place, City Loft Towers and many other residential and office spaces. Sheffield is undoubtedly a perfect place for any start-up or small business because of the economic prospects it offers and the abundant availability of resources needed by new businesses. With the great scope for small firms and start-ups, Sheffield has huge requirements for learned financial and accounting guidance. And we at DNS Accountants are the one who provide best services and experts for fulfilling all kinds of accounting requirements. We ensure the availability of best Contractor Accountants in Sheffield for everyone who needs the same! There is a great need for chartered accountants in Sheffield. It houses a significant number of industries and new businesses, and hence there is a high demand for online contractor accountants in Sheffield for meeting up the accounting management needs of these industries and businesses. Whenever you set up a new business or start-up, tax planning and management is amongst the most important things to consider. Our tax accountants in Sheffield help small firms and start-ups in calculating their taxes correctly and paying them at times. Apart from tax planning and expert guidance related to accounting and finance management, industries also need IT contractor Accountants in Sheffield so that they can use accounting software to manage their work efficiently and get the desired results quickly. 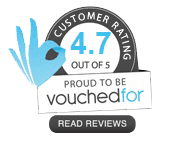 Our amazing experts train and guide the business’s staff to work on accounting software and to derive the best out of them. Because of several small businesses and start-ups being present in the city, there is also a huge demand of Small Business Accountants in Sheffield, who understands the basic workflow of small businesses and deliver the best possible accounting solutions to them. 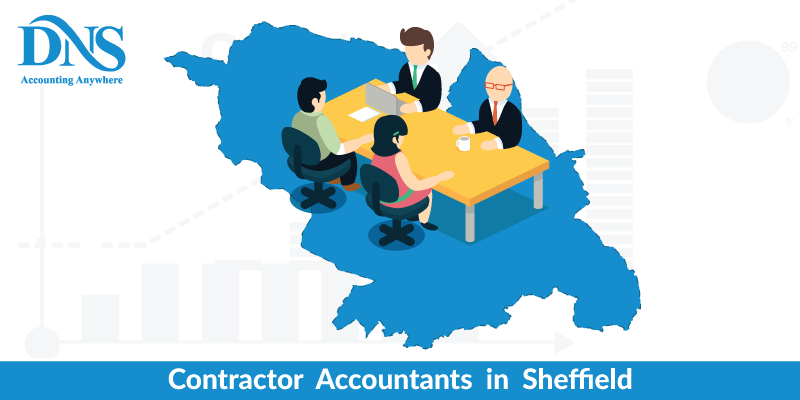 DNS Accountants is amongst the leading organizations offering experienced and talented Contractor Accountants in Sheffield. We first listen to your requirements and then suggest and provide you with the best possible accounting professionals who can resolve all your issues in a jiffy. What all DNS Accountants offer to its clients? It is not only the Sheffield that requires accounting and finance management services. Along with this city, there are much more cities with upcoming new businesses and start-ups like Trenton, Chapeltown, Rotherham, Oughtibridge, Beighton, Wolverhampton, Colchester and Dronfield. All such cities are in real need of experienced accountants, tax consultants, and other accounting personnel. Because of a vast number of new businesses and start-ups, all these cities present significant scope for accounting, financial and taxation services.